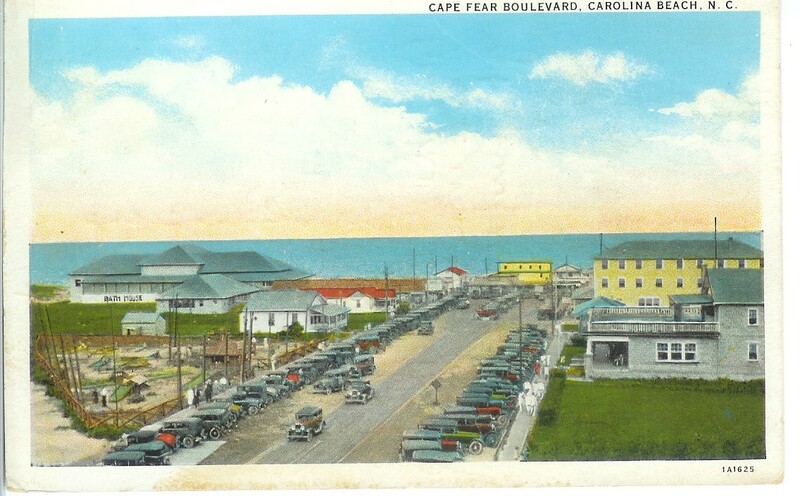 By the 1920s the boardwalk at Carolina Beach stretched along the strand north of Harper Avenue South to Cape Fear Boulevard connecting to bath houses, concessions and other businesses. 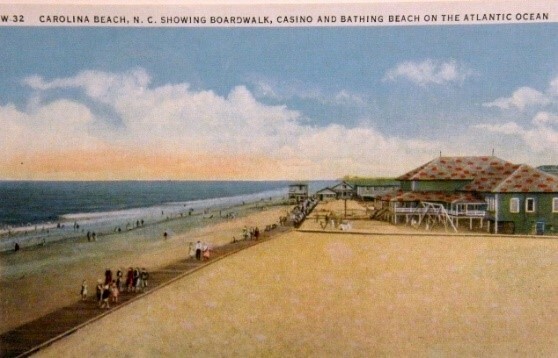 The pavilion, called casino in this post card, remained the centerpiece of beach activity located just a few feet south of Harper. 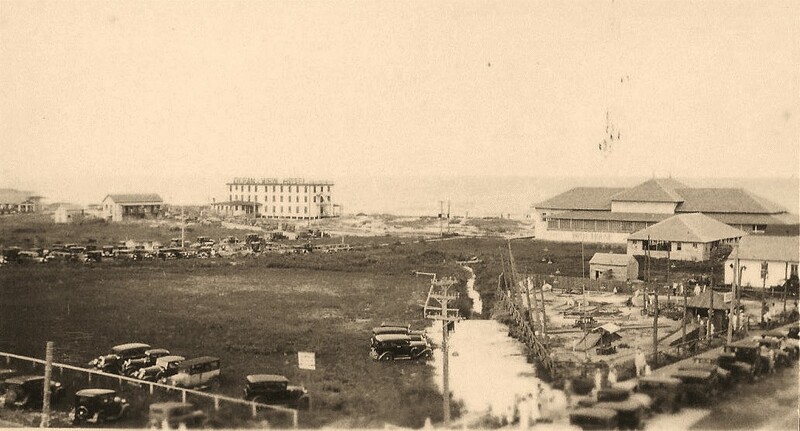 The boardwalk connected it to the Ocean View Hotel built in 1929. 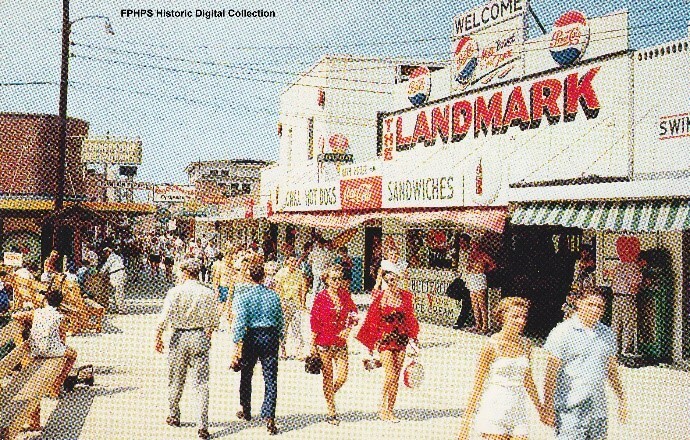 The Ocean View is left of center in this photograph with the pavilion on the right. By 1925 the town was incorporated with Robert Plummer as the first mayor. 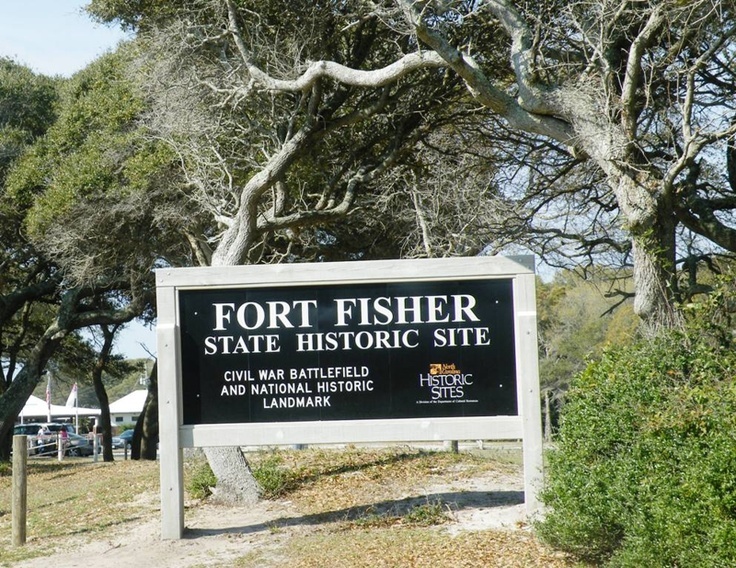 His home and general store were on Cape Fear Boulevard bordering the boardwalk and across from the Greystone Hotel built in 1916. The wooden Bame Hotel was built in 1930 next door to the Greystone. 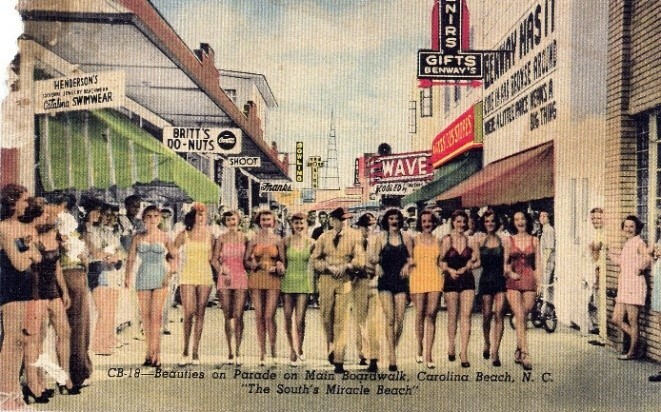 In the 30s the boardwalks were replaced and extended as a post-Depression project by the WPA. 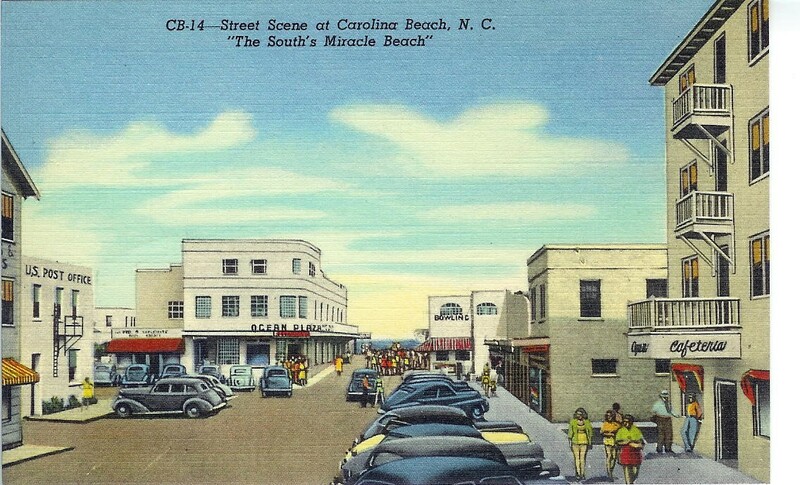 The three story Bame Hotel and Greystone, with its roof top dance floor, are seen on the right on the postcard below of Cape Fear Boulevard. Plummer’s Store, which also served as an early post office, is across the street behind the pavilion. West of Plummer’s is an early miniature golf course. Both sides of Cape Fear are lined with boardwalks.